Multifunctional. One Unit. 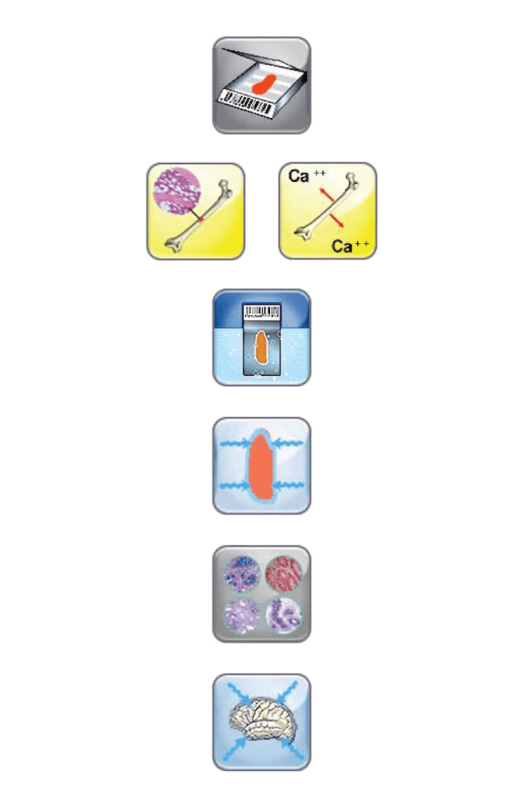 Six Major Applications. Same-day diagnosis for bone marrow trephine biopsies. Will this help your patient? Decalcification plus processing in less than 3 hours! An ideal application of the technology and of the multifunctional processes of the KOS: optimized decalcification and processing protocols are factory stored. Time consuming staining procedures are enhanced by microwave irradiation. Factory stored, optimized, step by step protocols for most common stains for 1-40 slides. Preset or customized programs guarantee operator independent, consistent results. 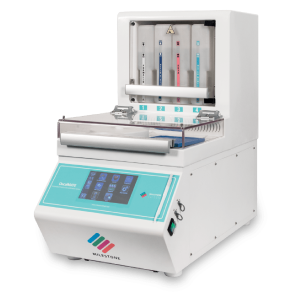 User programs can be easily set up and stored under “Favorites” for easy operations, otherwise users can easily select temperature, time and histomodules. Milestone has developed a dedicated fixation histomodule of up to 45 cassettes. Users can select the time at temperature protocol to fulfill all requirements of standardization and documentation for CAP/ASCO for HER2/ER. Finally, a factory stored opitimized protocol at 50°C guarantees consistent results. Milestone specifically dedicated a histomodule for hardening, which efficiently hardens rapidly in the physiologic solution for a timely grossing process. Icon driven. No calibrations required: just plug-in and process. Results within 30-40 minutes for stat, urgent or transplant biopsies. Factory prestored optimized, full documented protocols for rapid, microwave enhanced procedures. Kos is equipped with a set of control sensors to protect your precious specimens. User defined customized programs can be created and added to a most used favorites list for quick access, as required for meeting the needs of each laboratory user. Fully enclosed system with an extraction system of fumes, with charcoal filter, from the processing cavity. 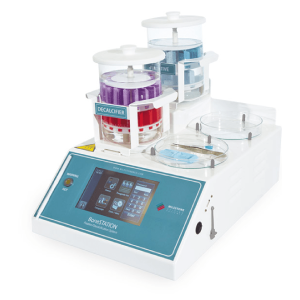 The KOS tissue processor will enable the laboratory manager to fulfill the requirements set by the C.L.S.I. and CAP inspection guidelines. The ideal substitute for the “kitchen type” microwave oven utilized in many histology laboratories. 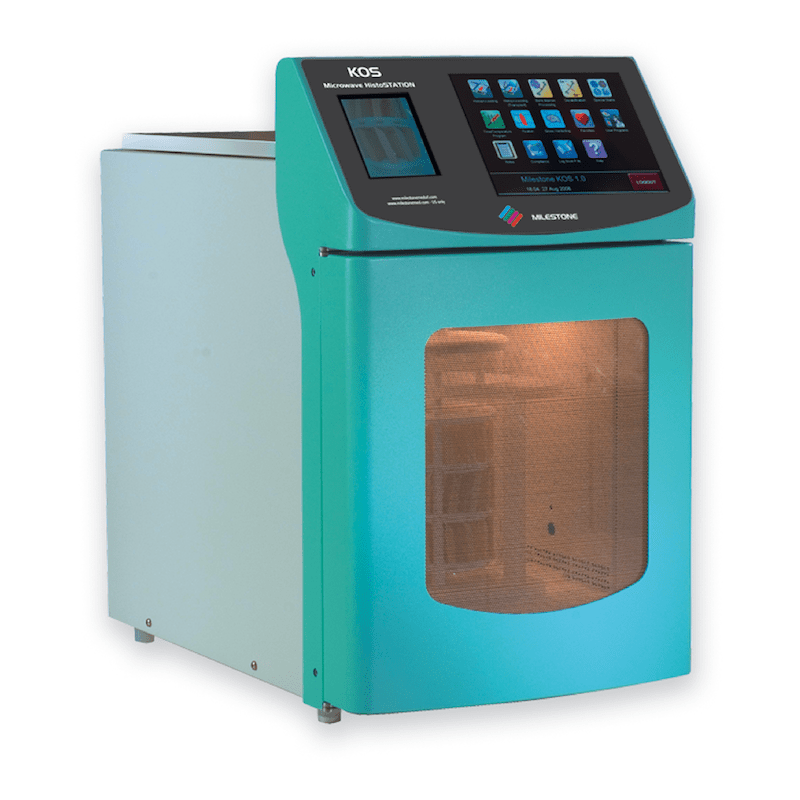 For acceptance of EM as a same-day diagnostic tool, Milestone has developed the KOS EM system, combining state-of-the-art laboratory microwave hardware, user centric software, and dedicated processing modules. 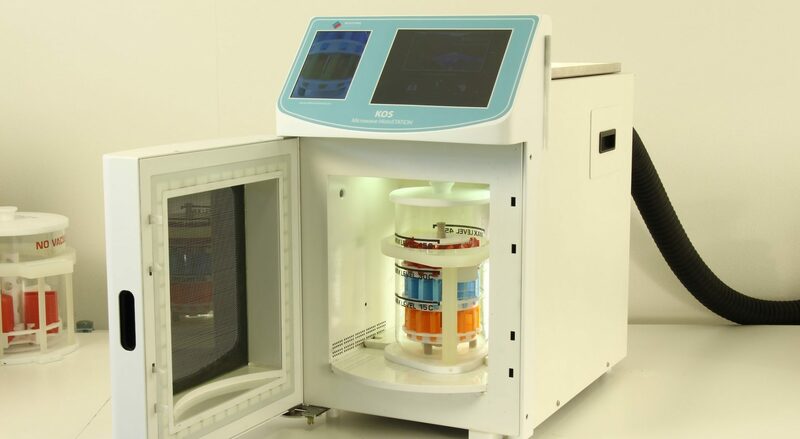 The design of the KOS EM system allows closed vessel processing from fixation through 100% resin, limiting to a minimum the operator’s exposure to toxic reagents. To avoid handling each individual specimen, all specimens are placed in processing cassettes stacked on a stem that holds up to 16 of them. 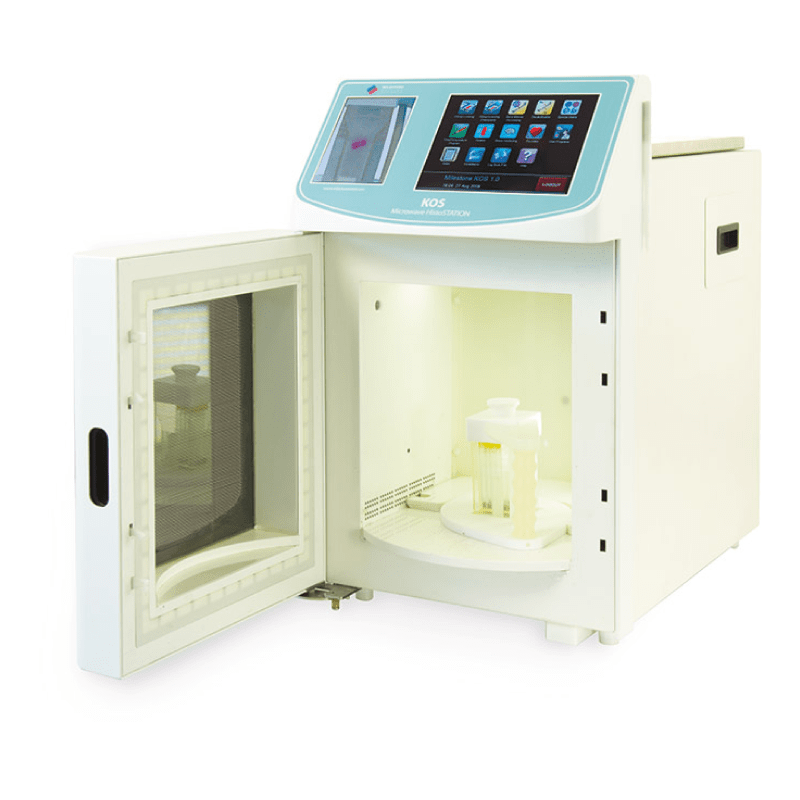 This allows a simultaneous transfer of all the specimens from vial to vial.